Many people with disabilities in Indonesia are yet to obtain hospitable and adequate facilities. To overcome the problem, government even released a regulation for people with disabilities, known as Law No. 8/2016. The law regulates fulfillment of rights for people with disabilities which includes economic, political, social, and cultural rights. 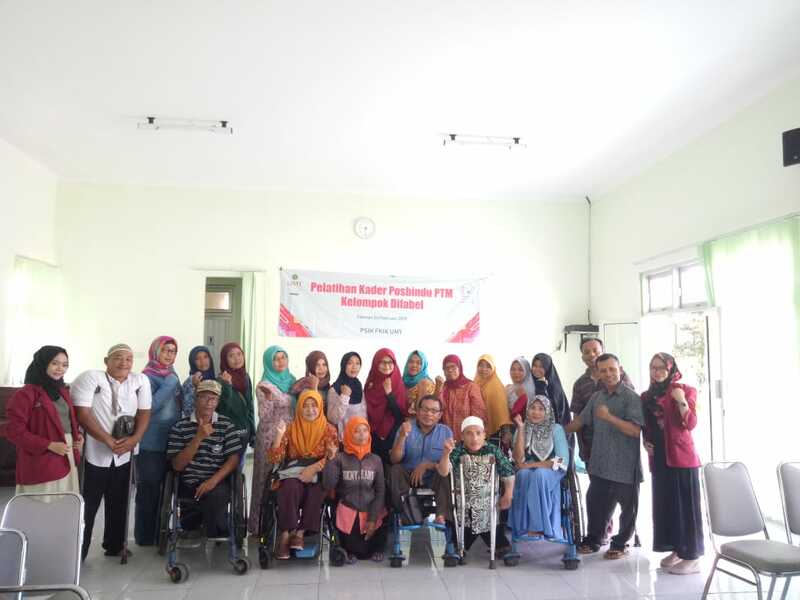 Departing from the issue, Nurul Hidayah, S.Kep., NS., M.Nurs, a lecturer of Department of Nursing of Universitas Muhammadiyah Yogyakarta (UMY), showed a concern by conducting community service for people with disabilities. She initiated a Posbindu PTM (an Integrated Health Counseling Post for Not-Contagious Diseases) on Sunday (24/2) at District Office Hall of Nglalik, Sleman, Daerah Istimewa Yoyakarta. In addition, the disabled people were also trained for a regeneration program. This was purposed to prepare them to be independent in managing their own health, especially for the PTM cases. “I contribute to the regeneration program. I hope that the Posbindu PTM can organize individually, with a little assistance from Puskesmas (Community Health Center),” ended Nurul.